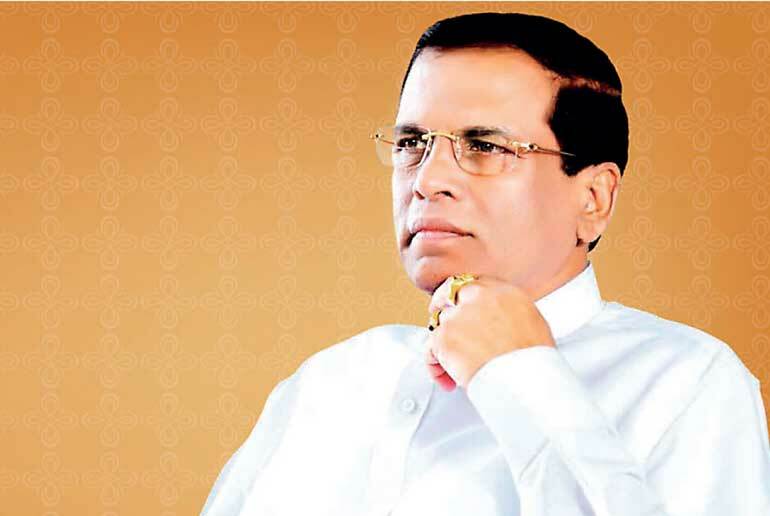 President Maithripala Sirisena was elected on a platform that emphasised values. “A man to restore disappearing human values” was the theme of the campaign video. It is not an easy undertaking and the President has been acting on his promises for mixed results. It was also a politically sensitive speech in face of the reality of 48 million or so who may have voted against him for a continuation of the ‘us-them’ mentality of the past regime. This context is perhaps the backdrop for the unwarranted reaction by the President to condemn a demonstration of sexuality at a rock music event attended by the Colombo elite. Is it political astuteness or a disturbing trend towards cultural policing? I hope it is the former. One good thing about the brouhaha surrounding the rock concert event is that it provides us a great starting point for a discussion on values. Who defines our values and what is the role of our political leaders in such definitions? As much as we like to think that religions teach us values, and just leaders or institutions such as schools will guide us as we stray from those values, the reality is more akin to a slow evolution of values created and recreated by society itself. As Matt Ridley argues in his 2015 book titled ‘Evolution of Everything’ including the evolution of morality and culture, Adams Smith saw an invisible hand in the evolution of morality long before he wrote about the invisible hand in his treatise on economics. Ridley says that morality in Smith’s view, is a spontaneous phenomenon in the sense that people decide their own moral codes by seeking mutual sympathy of sentiments in society. Moral judgements are generalisations arrived at inductively on the basis of past experiences. We log our own approvals and disapprovals of our own and others’ conducts, and observe others doing the same. Frequently repeated patterns of judgement can come to have the appearance of moral duties or even commandments from on high, while patterns that recur with less frequency will enjoy commensurately less confidence. It is in the messy empirical world of human experience that we find morality. Moral philosophers observe what we do; they do not invent it. Ridley quotes Stephen Pinker’s writing on reduction of violence in society and other literature to argue that even when governments succeed in policies for reducing violence, for example, those efforts are really attempts to reflect changing sensibility more than to change sensibility. Moral sense and the propensity to violence and sordid behaviour evolve. They evolve not because somebody ordains that they evolve, but spontaneously. The moral order emerges and continually changes. Of course it can evolve towards greater violence, and has done so from time to time, but, mostly it has evolved towards peace. The driving force for this evolution of society towards civility is explained by Ridley using Adams’s example of how a child discovers morality. A child does not have a sense of morality and has to find out the hard way that he or she is not the centre of the world. Gradually by trial and error, a child discovers what behaviour leads to mutual sympathy or sentiments, and therefore can make him of her happy by making others happy. It is through everybody accommodating their desires to those of others that a system of shared morality arises, according to Smith. These are arguments that political leaders should heed. Leaders can be examples of values they eschew, but, there are limits to their influence because social morals are a result of larger forces yielding moral values that transcend borders. What are they these universal values and what is the role of lead actors and institutions in society in accentuating or depressing these seemingly universal values. Values are social structures that are created and recreated by society itself. What exactly are those values is a research question pursued by many. At a societal level, preambles to constitutions are best places to look for virtues that are valued by each society. The Preamble to the Indian constitution provides a concise set of four values enshrined in that constitution – i.e. liberty, justice, equality and fraternity. The Preamble to the Constitution of USA embodies same values in somewhat different terminology when it cites justice, liberty, welfare, tranquillity, defence and perfect union as its objectives. At an individual level, religion or political ideologies are explicit about virtues they seek to cultivate. Twentieth century is marked by political ideologies that sought to create a new social being free of feudal or capitalist shackles, as in the former Soviet Union or Communist China, but, by all accounts these attempts have created more suffering for millions if not billions of people. Religions are by definition institutions that seek to cultivate positive virtues in individuals. In fact, billions of individuals world-wide turn to religion to find guidance in life and to seek relief from suffering. Agnostics may say that religions too have caused more suffering than relief, but, this is no place to delve into those arguments. More relevant to our discussion are the contributions from the discipline of psychology because psychologists are professionally driven to identify virtues that cross religious or ideological boundaries to find ways to reducing mental pain and suffering for their patients. Petersen and Seligman’s work on ‘Character Strengths and Virtues’ published in 2004 is particularly useful in this regard because of their empirical approach to identifying and categorising virtues. They have sifted through values enshrined in religions, rituals, literature and all types of human activities to cull 24 virtues that are valued by society over time across national boundaries. They have further aggregated these 24 attributes into six key categories called – wisdom and knowledge, courage, temperance, transcendence, humanity and justice. As true of any scientific finding, the conclusions of Petersen and Selgiman are only as good as the next experiment that would refutes these findings. In fact some others argue that the six categories do not quite withstand additional empirical tests for robustness, but, for purpose at hand, the Petersen and Seligman classification suffices, I believe. In fact, I prefer Petersen and Selgiman’s classification because their 24 attributes and six categories can be further folded into the simpler three attributes of (1) Openness to new ideas (2) Ability to actualise the ideas and (3) Civility that tempers the actions. These three categories are particularly easier to understand in a Sri Lankan context because of their correspondence to the education for ‘Head, Hand and Heart’ concept that was popular in Kannangara education reforms of 1940s and respected even today. These are attributes that concern the ‘Head.’ Petersen and Selgiman’s ‘Wisdom and Knowledge’ virtue category with its attributes of ‘creativity, curiosity, open-mindedness, love of learning and perspective and wisdom’ belong here. We bunch them all under the virtue of being open to new ideas. These are attributes that concern the ‘Hand’ or the skills that helps one to move forward with new ideas, be they large or small. We put Petersen and Selgiman’s virtue categories of courage (including self-control bravery persistence/grit integrity vitality/zest), temperance (forgiveness and mercy, humility and modesty, prudence) and transcendence (including appreciation of beauty or excellence, gratitude hope/optimism, humour and playfulness and spirituality) as a set of virtues that gives the ability to actualise new ideas. As a society, at this point of time, perhaps as a reaction to fears of globalisation, Sri Lankan may lean towards narrowly defined virtues of temperance or transcendence over virtues of courage. For example we as a society may be leaning towards ethnicity or geography based concepts to seek meaning in our lives and emphasise virtues of temperance over virtues of courage such as risk-taking and perseverance. These are not the virtues for a society aspiring to improve its lot in the new century. However, there is reason for hope. As social scientists have repeatedly shown us, the overall trajectory of human evolution has been towards a morality that captures a balance of the virtues of courage, temperance and transcendence. This is the ‘Heart’ component of the human values. Civility here would include Petersen and Seligman’s virtues categories of humanity (love, kindness and social intelligence) and justice (active citizenship, fairness and leadership). New ideas or actions that carry out new ideas will not be seen as moral by society if these actions are not balanced by concerns of humanity and justice. In this new year, as the President uses the ‘bully pulpit’ of his presidency to exhort moral values, and the Parliament and civil society deliberate on a new constitution, it would serve them well remember that morality is defined by society and the evolutionary trend has been towards virtues that (1) opens one’s mind to new ideas, (2) gives the ability to actualise new ideas (3) with civility that tempers one’s actions. The best that political leadership or education institutions can do is to serve as exemplars and at best use light interventions that ‘nudge’ society, or enable conditions that allow good practices to ‘evolve and emerge’. I hope to explore these interventions in anther column at another time.